Today’s “State of Unreal” GDC opening session from Epic Games Founder and CEO Tim Sweeney and CTO Kim Libreri revealed Unreal Engine’s new Epic MegaGrants, Epic Online Services, Epic Games store and the companies growth to 7.5 million licensees along with new technology advancements. Magic Leap’s Mica is being demoed at the UE4 Booth during GDC this week. Although Epic doesn’t specify any limitations to projects, the company did outline some key areas for which it encourages people to apply. Those include “dev teams of all sizes” trying to build a project or transition one to UE4; teams working on film and television that want to make use of UE4; enterprise teams using UE4 in non-gaming areas like architecture, product design, and automotive; students and teachers using UE4 for educational and research purposes; and open-source developers building tools that could be of use to the broader UE community. Available now in preview with the full release coming within two weeks, Unreal Engine 4.22 is the fastest version of UE4 yet, with drastically reduced compile times and many optimizations and performance upgrades. 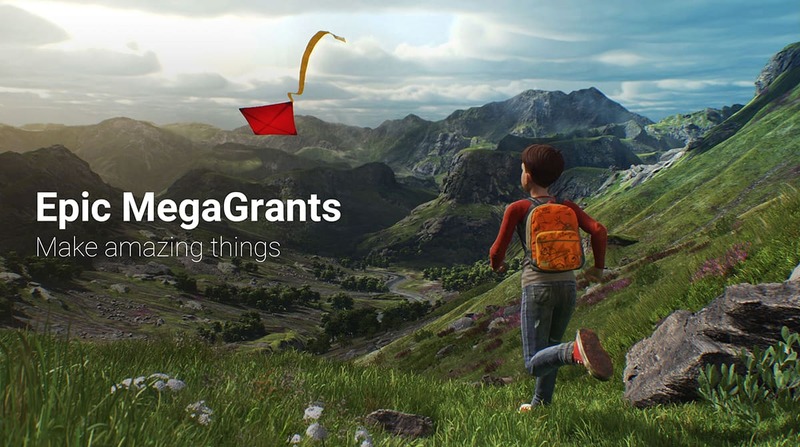 UE 4.22 ships with highly anticipated features including ray tracing, new Live++ hot reload for live coding, multi-user collaboration in Unreal Editor, Niagara VFX enhancements, Microsoft HoloLens streaming support (with full HoloLens 2 support coming in May), and support for Google’s new Stadia game streaming platform (see below). Two real-time demonstrations shown during today’s “State of Unreal” showcase stunning new visuals that can be achieved with UE4. The first major demo was Troll, a real-time short from Goodbye Kansas and Deep Forest Films. It features a scene starring a digital princess, fairies and an enchanted crown to demonstrate how ray tracing can create cinematic-quality lighting with complex soft shadows and reflections. Troll was created with Unreal Engine 4.22, leveraging the powerful new ray tracing features with NVIDIA RTX technology. Troll is based on the visual styles of Swedish painter and illustrator John Bauer, the short follows a princess on a journey through a misty forest full of fairies. 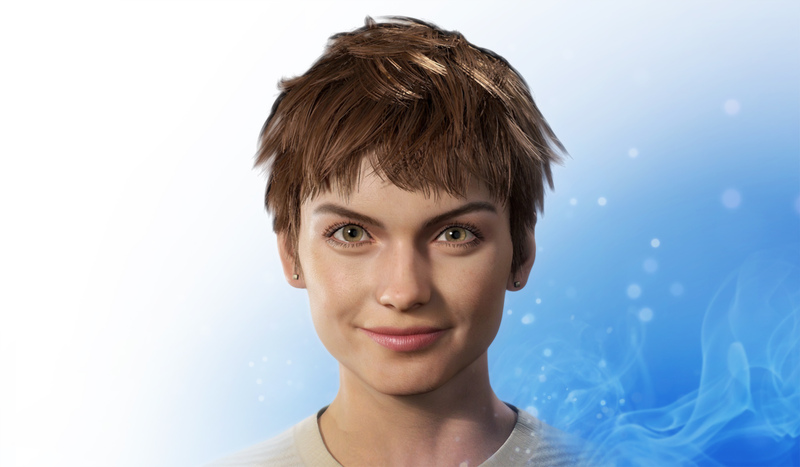 3Lateral, (now a part of Epic Games), carried out 3D and 4D facial scanning, applying its Meta Human Framework to contribute to the subtle and emotionally rich facial performance of the digital princess. Löving gave special thanks to NVIDIA, whose RTX technology allowed the teams to complete the project with just a single graphics card, the RTX 2080 Ti. NVIDIA is be hosting a demo and “Making of Troll” tech talk with Epic’s Marcus Wassmer and Juan Cañada also this week at the GTC Technology Conference in San Jose. 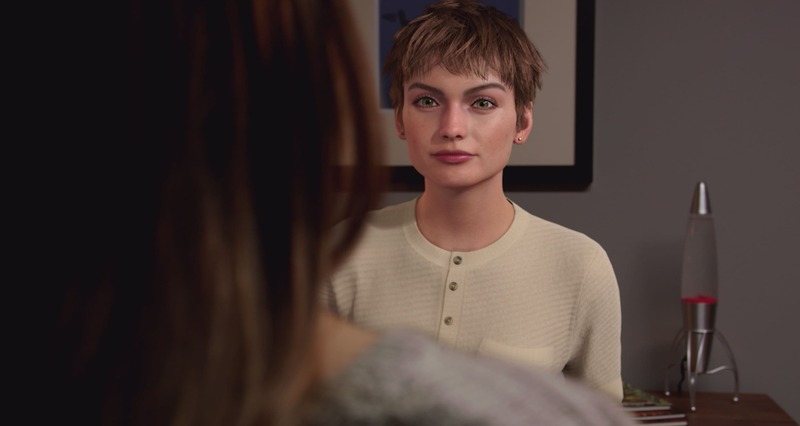 Creating realistic digital humans remains a key goal for filmmakers, content creators, and game developers, with additional applications across simulation, research, and more. Epic remains committed to mastering this process through real-time rendering, and democratizing the tools through the Unreal Engine. 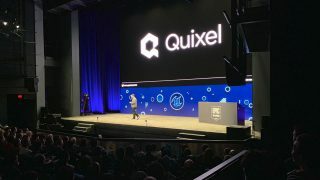 The second major UE4 demo was Quixel’s Rebirth. This short was created by a team of just three artists and highlights use of the studio’s state-of-the-art photogrammetry techniques, extensive asset library, and world-class artistry to demonstrate new levels of photorealistic beauty in UE4. The movie is lit, composed, edited, and rendered entirely in UE 4.21, with no custom plugins or code. The result is “Rebirth,” a 1:45 real-time cinematic set in a futuristic alien landscape. Megascans provided standardized content from the get-go, which simplified production by eliminating the need to build assets from scratch. The high fidelity of the physically-based scans delivers results that are remarkably photorealistic. Quixel brought together artists from games, VFX and architectural visualization to prove how UE4 enables multiple industries to converge when leveraging a real-time pipeline. Partners such as Beauty & the Bit, SideFX and Ember Lab worked together with Quixel to bring this project to life. 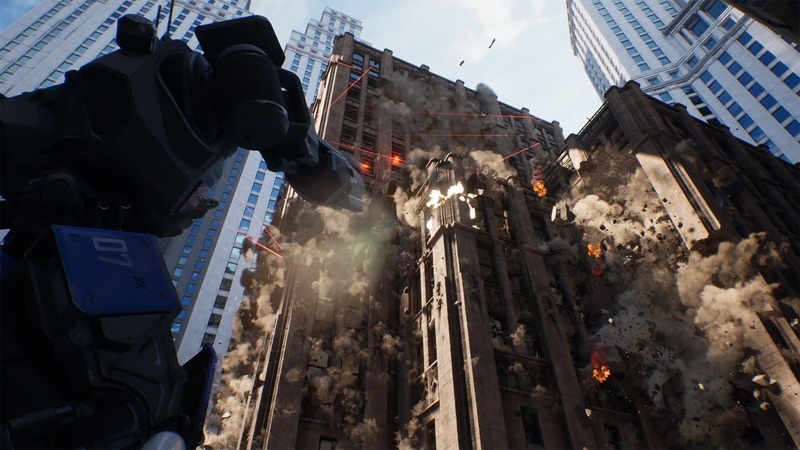 Revealed also was Chaos, the Unreal Engine’s new high-performance physics and destruction system coming in early access via Unreal Engine 4.23. 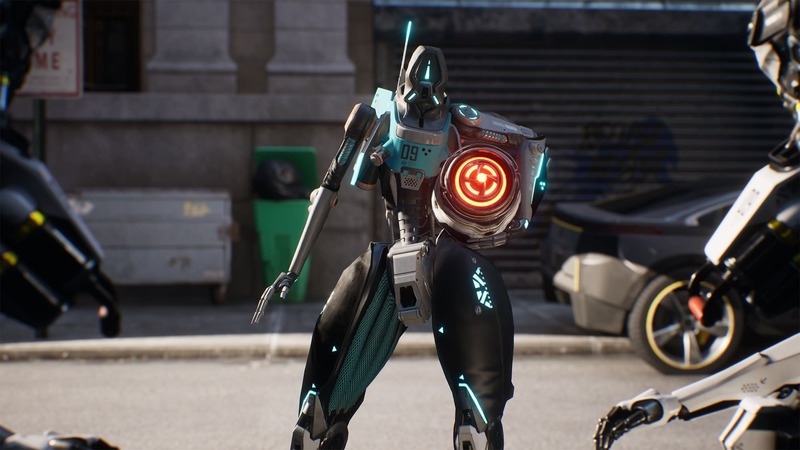 The real-time tech demo is set within the world of Robo Recall. With Chaos, users can achieve cinematic-quality visuals in real time in scenes with massive-scale levels of destruction, with unprecedented artist control over content creation. In addition to the initial feature set, Epic will release demo content for Chaos physics and destruction within the 4.23 window. Both Simulating and Rendering in real time. Chaos is built on a new type of geometry called GeometryCollections. These fracture in Unreal using Standard Voronoi or other types such as Clustered Voronoi, radical fracture or Planar Fracture. This is in addition to other approaches such as planar cutting. Chaos is controlled with the Chaos Field System via UE4's modular blueprints. Simulated and Cached and then Rendered in real time. Destructions can be pre-simulated and saved out to be played later. This allows artists and game designers to art-direct the destruction system. Both real time simulations and pre-simulated work all use the same tools, all are GeometryCollections. But in a remarkable innovation, any part of a pre-baked simulation can become active at any time. The Destruction is never a locked off static. Chaos reacts to the dynamic world state making the Chaos scenes extremely performant. This allows the Chaos tools to interact with a games AI system. 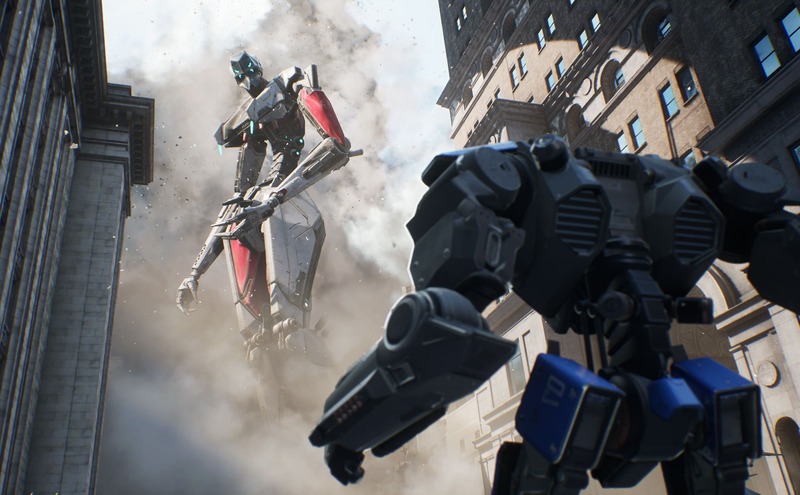 For example, a prebaked building collapse, would still allow AI characters in the scene to knock, interact and move any of the fallen debris that was part of the simulation. Every debris event has its own correct mass and physics and thus all the AI characters can interact with the debris live. All the collision and breaking events are transferred to UE4's Niagara sub-system for dust and debris simulations. It also interfaces naturally to the other sub-systems such as the audio system etc. The physics has the option to be completely decoupled from the rest of the game. This is significant as you can run these simulations at a different frame rate from the other aspects of the game. This may be very significant as games move to the Cloud like Google Stadia (see below) and UE4 projects are across multiple GPUs. At GDC Epic is demoing Mica on the UE4 booth. Mica is Magic Leap’s groundbreaking digital human, representing the intersection of mixed reality and AI. In this interactive demo, users work together with Mica to assemble a virtual art collage inside a physical frame. 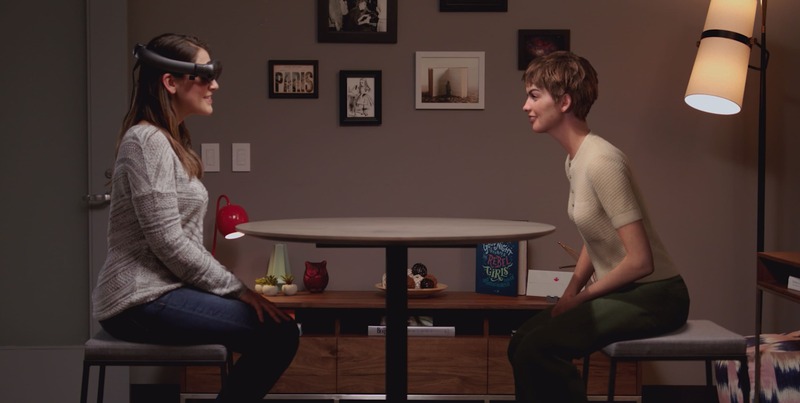 Through this creative collaboration, users can experience the Magic Leap mission of "harmonizing people and technology" the company explained. Epic has been a longstanding technology partner with Magic Leap, and UE support for the Magic Leap One platform was announced at last year’s GDC. Leading content creators including Framestore, ILMxLAB, Schell Games, and Peter Jackson’s Wingnut AR are already using Unreal Engine to create immersive experiences and applications for Magic Leap. The Epic Games store launched in December 2018 with the goal of achieving a more open and profitable platform for developers and publishers, disrupting the industry by offering an 88% revenue share, a great free game every two weeks, and major exclusives. The Epic store has grown to 85,000,000 PC players, with its Support-A-Creator program surpassing more than 55,000 creators. Epic Games is also partnering with Humble Bundle to enable developers to sell their Epic Games store titles on the Humble Store, including Epic store exclusives. Epic will receive no revenue share from the sale of those games purchased through the Humble Store. Following the successful launch of Tom Clancy’s The Division 2, Ubisoft and the Epic Games store announced an extension to their agreement that will bring several major PC releases to the store in partnership with their Uplay division. Take-Two Interactive’s Private Division will bring highly-anticipated titles The Outer Worlds from Obsidian Entertainment and Ancestors: The Humankind Odyssey from Panache Digital Games to the Epic Games store. 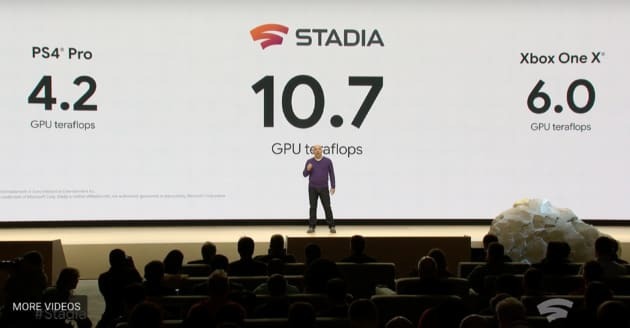 In addition to the direct Epic announcements, at GDC Google announced Stadia, a new cloud-based gaming platform. Stadia is not a dedicated console or set-top box, it is a global platform that will be accessible over the internet on almost every type of platform: from browsers and computers to TVs and mobile devices. Epic Games was singled out as a key partner in the Google presentation. The Stadia talk showed an incredible demo of complex gaming without downloads. The system will work by allowing multiple GPUs to provide interactive game play streamed to 'dumb' terminals or devices. The system was tested at 1080 resolution and will launch at 4K with plans to go to 8K. The new platform is aiming to be the "Netflix streaming of video gaming". This is system is built to allow users to jump into a game in seconds straight from YouTube. While it will have an enormous affect on the notion of a gaming console, its applications outside games may be just as significant. 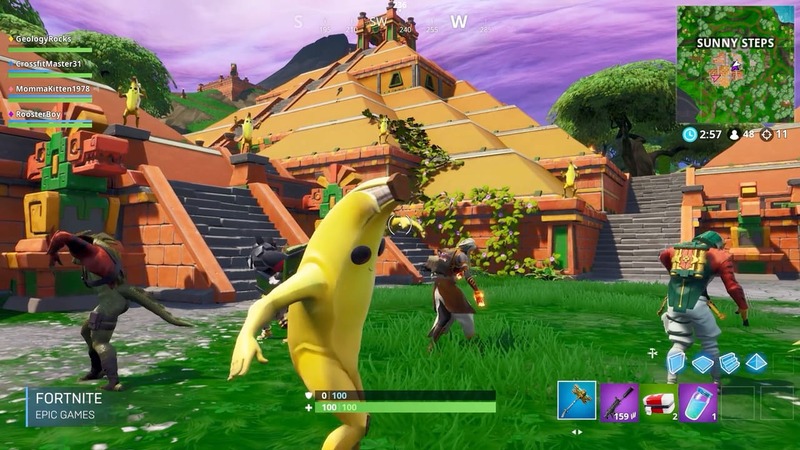 Stadia is a perfect platform for Fortnite (or a next generation Fortnite). It supports immediate starts without downloads, multi-player, high quality graphics with a host of new features. Epic has been directly involved with working with Google for some time. After spending billions over the last few years to upgrade its cloud computing infrastructure, Google believes they can delivery more power that the top two consoles combined: 10.7 GPU teraflops. Google is not the first company to try and solve video-game streaming, but it will be the first of the big three cloud companies to ship a service designed to directly take on game consoles. Google has designed a custom graphics-processing unit (GPU) and server processor with AMD. The GPU will provide 10.7 TFLOPs of compute performance from 56 Compute Units and uses HBM2 memory. Stadia also comes with a custom x86 CPU clocked at 2.7GHz with support for AVX2 and hyper-threading, and most likely pointing at a Zen 2 CPU architecture from AMD. The rest of the specs include 16GB of total RAM and 9.5MB of L2+L3 cache, according to fudzilla. Also away from the main EPIC GDC "State of the Union", NVIDIA has released this hilarious demo video: Project Sol (Part 3). The real time demo was made to demonstrates the power of the NVIDIA RTX development platform for creating cinematic ray-traced content that runs in real-time on RTX at 30fps. This entire cinematic ray-traced scene is able to run on a single GeForce RTX 2080 Ti GPU. The project was made in Unreal Engine 4.22.